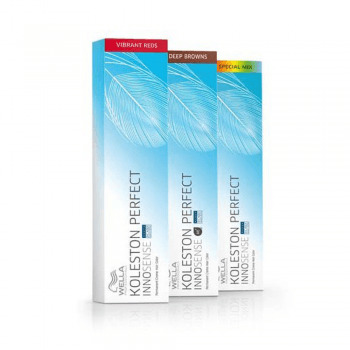 Koleston Perfect Innosense Minerals 10/95 Lightest Cendre Mahogany Blonde is the first permanent hair colour with up to 100% grey hair coverage and 3 levels of lift. A unique experience in beauty and well-being. Includes Wella&apos;s unique ME+ Dye Molecule for superb professional results. Specially created to reduce the chances of allergies.